So, you're finally ready to create that cat hairstyles blog. Or maybe uncle Tim has asked you to revamp his online tuna selling store. Or maybe your boss wants to upgrade the company website, who knows? It isn't easy to create a website using HTML and CSS - trust me, that's what I do for a living! But the good news is that you can always use a CMS, a content management system, which can be easier to install, customize and use. It is easy to install WordPress, and the entire process won't take you more than a minute. Then, if you are a developer, you can either customize it by playing with its PHP code, or you can add one of the tens of thousands of predefined themes, which will dramatically change its appearance. Finally, adding content to your site is a breeze. What's not to like about this CMS? For starters, it's good to remember that WordPress was designed to be a blogging platform. It's a very flexible CMS, I agree, but if you want to extend its functionality beyond the basics, you will have to add at least 5 to 10 plug-ins to it. That doesn't sound too bad, until you realize that each plug-in slows down your website. Not only that, but many plug-ins aren't updated, causing errors and sometimes even leaving your website unprotected against brute-force attacks. It's true that both WordPress and most of its plug-ins are constantly updated, though. But this isn't always a good thing, because it makes you waste quite a bit of time constantly checking if a new update is on its way. Sure, I like the fact that these updates harden the security of your website, but it would've been much better if these security problems weren't so frequent with WordPress. Joomla! has been designed to be a CMS that's fit for larger sites. Huge online stores use Joomla!, because it is quite flexible and highly scalable. Designers love its front-end content management, for example. Native support for multiple languages is also a big plus, especially when it comes to online stores that sell internationally. Joomla! is not without problems, though. It suffers from the same issues that WordPress has got with its plug-ins, for example. You can still find ancient plug-ins that were built 5 to 7 years ago in the plug-in repository, aka "extensions directory". Just like WordPress, websites based on Joomla! are easy targets for hackers. I wouldn't necessarily blame Joomla! for this, because each popular CMS is a target. Still, there are many more reports of hacked Joomla! sites in comparison with WordPress. Finally, Joomla! is much more advanced, and thus more complicated in comparison with WordPress. If you're just starting out playing with CMSs, choosing WordPress may be a better solution, at least in the beginning. 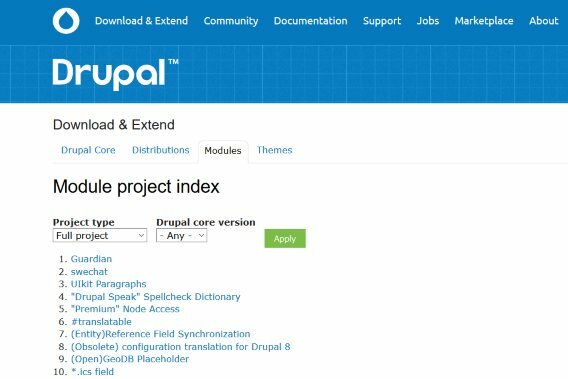 Drupal is well known for its flexibility, and for good reason. It packs close to 50,000 different modules that can be combined, helping you design pretty much anything you want to. 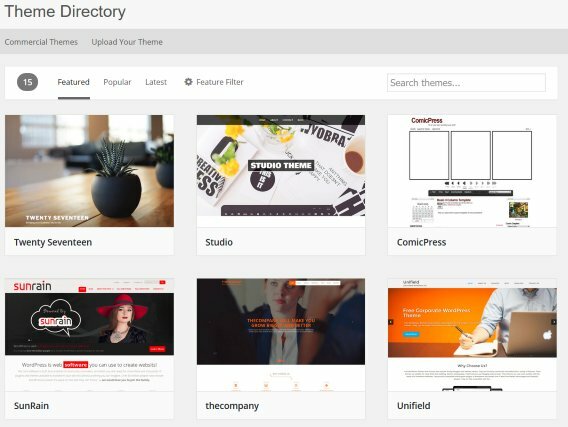 It also includes thousands of different, well crafted themes, which can help your website stand out from the crowd. Another important plus of this CMS is the vivid community, which consists of thousands of Drupal fans who are more than eager to help you solve any problems that you may encounter. But just like the other two content management systems presented above, Drupal has its issues. This CMS is quite complex, so beginners may have a hard time trying to get started with it. It kind of defeats the idea of building a great site and having it work properly within hours. I think that the conclusion is clear: there simply isn't the "best CMS" out there. If you are a beginner, my strong recommendation is to go with WordPress. If you plan to launch an online store, Joomla! may be your best bet. And if you love to code, Drupal will offer the flexibility and power that you are looking for. 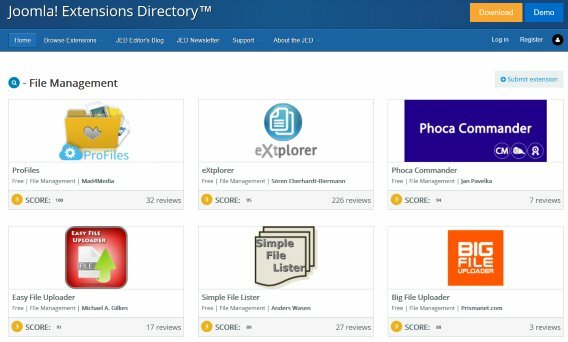 No matter what option you choose, don't forget that these content management systems have millions of passionate fans throughout the entire world, so be sure to join one of the active forums. Most of these fans will be willing to help you solve any problems that you may encounter.